Cardio Debate > Cardio Notes > Treatment and Prevention > Is fish oil really cardioprotective? 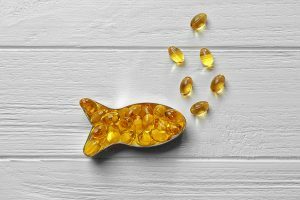 Is fish oil really cardioprotective? So, although at the currently recommended dose omega-3 fish oil supplements do not appear to protect against myocardial infarction, cardiac death or stroke, according to the recent meta-analysis mentioned above, the jury is still out on the possible benefits of higher doses in patients with high triglyceride levels and in subjects receiving treatment with statins. The results of these prospective randomised trials are eagerly awaited. It is important to stress the fact that current guidelines recommend eating oily fish as part of a balanced diet. However, it is likely that the widespread use of powerful cardioprotective medications is making certain interventions which were shown to be effective in the past -such as fish oil supplements- redundant nowadays.